According to a source of VentureBeat, T-Mobile’s Uncarrier 11 event is geared towards getting postpaid customers invested more in the network they use. And by invested, we mean quite literally. As reported, Uncarrier 11 will introduce Stock Up, a program that offers actual T-Mobile stock to customers. At the time of this writing, $TMUS is trading at over $43, which is an important tidbit of info you should keep in mind. There are reportedly two ways customers can earn shares. To get started, there will be an initial, “qualification-free giveaway,” plus a “referral fee” for driving business to T-Mobile. Yet to be confirmed by T-Mobile, any existing postpaid customers who downloads the yet-to-be-released T-Mobile Tuesdays app prior to June 21 will automatically be eligible to receive a single share of stock. To claim the share, customers will be required to sign-up for Loyal3, which is a web service offering fee-free investing. The report claims that new customers will have a rolling three week window to claim the share via Loyal3’s website. Once the initial share is claimed, any customer can earn up to 99 more shares per year by referring friends and family. That’s a total of 100 shares in the first year. 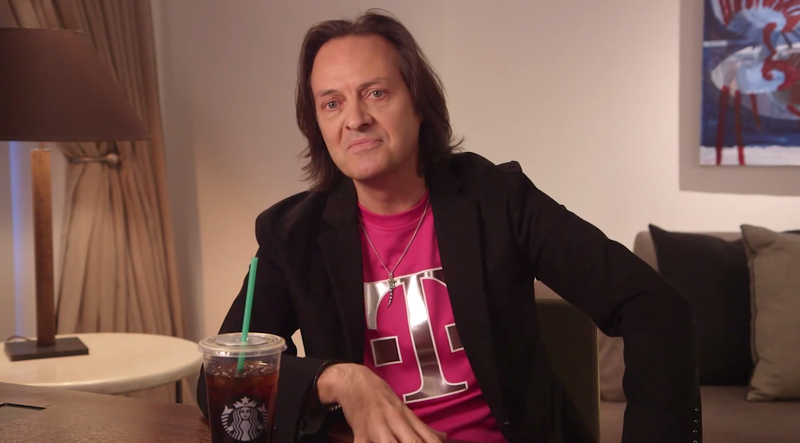 However, with those referrals, the new customers will need to maintain their T-Mobile accounts for longer than 15 days. This will prevent anyone from signing up, claiming the share, then taking advantage of T-Mobile’s new-line return window. For long-term subscribers (customers who have been with T-Mobile for 5 years or more), they will earn two shares per new customer referred, instead of one. If you begin stacking up referrals, all you need to do to claim the shares is enter your referee’s T-Mobile phone number inside of the T-Mobile Tuesdays app. The process appears to be fairly simplistic, and in the long run, customers should have a fun time trying to convince their friends and family to signup for T-Mobile, allowing them claim free shares. The last part, according to VentureBeat, is more of a customer appreciation bonus. The initiative will net customers a two-topping Domino’s pizza, small Wendy’s Frosty, plus a downloadable VUDU movie rental each week. Bonus gifts will also include trips, gift cards, and event tickets. As a prepaid T-Mobile customer myself, Stock Up may even get me interested in switching to a postpaid account. You can’t beat free shares, right?